Whether you're setting off on holiday, travelling on business or just want to get home as quickly as possible, our Drive'n Fly rate is perfect for getting either to or from the airport. No hauling luggage around, no stress– simply jump in, buckle up, start driving...and arrive relaxed. Drive any of the cars located in Vienna to the airport and park it at the designated Car Sharing parking at P3 parking area on level 0 (ground floor). You’ll also be able to find the exact parking area at the airport in the GPS under ‘Special points of interest’. Please enter the parking area through the barriers on the left-hand side. The barrier will open automatically only if you are near the entrance of the exclusive Car Sharing parking. If it doesn't, please make sure that you've used the right entrance and if so, ring the bell exceptionally or contact our Service Team. For all airport pick up and drop off trips we charge the standard per minute rate plus an airport service fee of €12. If you’re planning on renting a car at the airport, reserve the car through the app 15 minutes for free before you arrive at P3. 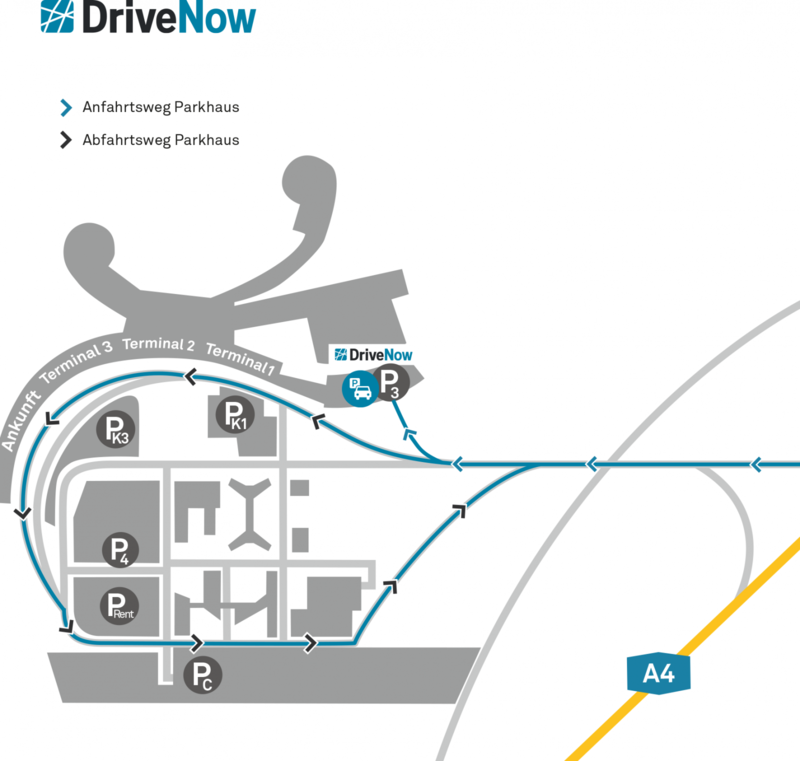 Then you’ll be able to drive anywhere and end your rental within the Vienna DriveNow Zone. For more information exactly where to park you can see the Vienna parking guidelines. 2. Turn right and drive towards P3. 3. Enter the P3 parking garage through the designated barriers on the left-hand side. Please notice that you have to bear related costs (e.g. for parking) when parking the car anywhere outside of the designated Car Sharing parking on level 0. 4. The barriers open automatically - NO ticket is required to enter. 5. Park the car in the carsharing-zone on level 0 and complete your booking. Reserve your DriveNow BMW or MINI in advance via app. Pick up your reserved car on level 0 in P3. Follow the EXIT signs to leave P3 (NO ticket is required to leave - the barriers open automatically). Follow the EXIT signs to leave the airport area.